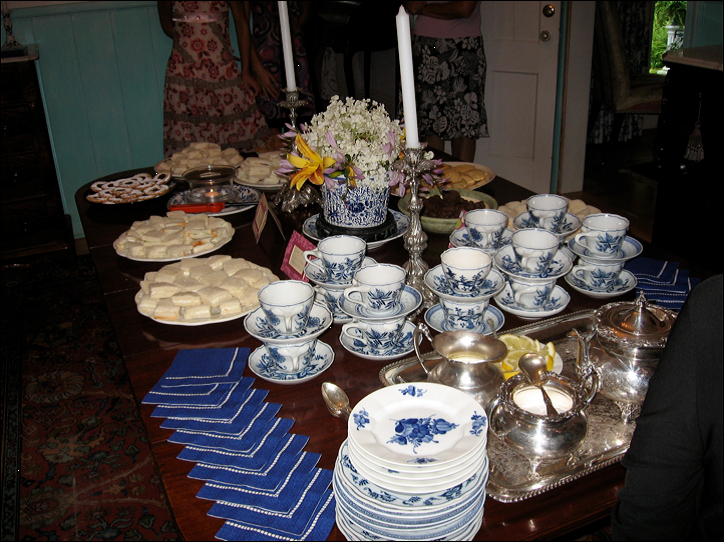 You are invited to a virtual, formal tea party, a blue and white tea this spring! Here is the table set with spring flowers and decorated with patriotic blue and white Royal Copenhagen and Blue Onion china. Tea sandwiches and sweets adorn the table as well.